Whether you want to improve your skills, expertise or career growth, with Examkingdom's training and certification resources help you achieve your goals. Our exams files feature hands-on tasks and real-world scenarios; in just a matter of days, you'll be more productive and embracing new technology standards. Our online resources and events enable you to focus on learning just what you want on your timeframe. You get access to every exams files and there continuously update our study materials; these exam updates are supplied free of charge to our valued customers. Get the best 70-446 exam Training; as you study from our exam-files "Best Materials Great Results"
Specify the appropriate SQL Server edition. Design dimensions for each subject area. Design fact tables for each subject area. Design a physical schema based on a logical design. Identify current dimensions that can be reused. Identify elements that must be added to existing dimensions or fact tables. Design new physical objects based on a logical model. Design indexing, partitioning, and key structures for the relational database. Design a surrogate key strategy. Identify changed data in the source system. Decide the strategy for decoding textual values. Decide whether to implement fast load. Design appropriate destination components to handle new and updated records during incremental loads. Identify appropriate transformations and transformation options. Design the control flow process. Identify appropriate control flow items. Design the control flow sequence. Design logging and event handling. Identify appropriate uses and placement of event handlers. Identify appropriate uses and placement of checkpoints. Identify appropriate uses of logging. Identify appropriate uses of data flow error handling. Select appropriate uses of shared data sources. Select appropriate uses of stored procedures or user-defined functions. Choose an SSRS report creation strategy. Select appropriate uses of Report Designer. Select appropriate uses of Report Definition Language (RDL). Select appropriate uses of Report Builder. Decide appropriate uses of datasets. Decide appropriate uses of subreports. Decide the appropriate placement of extensive business logic. Design report execution modes to support business requirements. Identify appropriate uses of report snapshots. Identify appropriate uses of on-demand reports. Identify appropriate uses of on-demand-from-cache reports. Design a report subscription strategy. Identify appropriate uses of standard subscriptions. Identify appropriate uses of data-driven subscriptions. Identify appropriate report-delivery methods for subscriptions. Design a strategy to maintain SSRS objects on the report server. Identify appropriate uses of the Reporting Services Web Service library. Identify appropriate uses of the Reporting Services Configuration tool. Design the data source view (DSV). Select appropriate uses of named queries. Select appropriate uses of named calculations. Select appropriate uses of denormalization strategies. Identify appropriate uses of attribute relationships. Identify appropriate uses of column binding to support a user-defined reporting hierarchy. Select a design for implementing a ragged hierarchy. Select an appropriate strategy to implement member properties. Identify appropriate uses of calculated members. Identify appropriate uses of actions. Identify appropriate uses of key performance indicators (KPIs). Identify appropriate uses of perspectives. Identify appropriate uses of translations. Identify appropriate uses of drillthrough. Design relationships between dimensions and measure groups. Identify appropriate uses of role-playing dimensions. Choose an appropriate strategy to handle unknown dimension members. Design cell security by using Multidimensional Expressions (MDX). Select an appropriate aggregation strategy. Maintain SSAS solutions by using either online or offline methods. Ensure that the SSAS solutions are refreshed with the most recent data. Design a partitioning strategy for optimal data availability. Decide whether proactive caching is an appropriate solution. Select appropriate processing methods for SSAS objects. Select a dimension storage mode. Identify applicability of data mining to a business need. Design the data structure to support mining. Design a data mining model. Identify appropriate algorithms to meet requirements. Classify data as input, key, predict, and ignore. Select data mining delivery methods. Select appropriate uses of SSRS Data Mining Extensions (DMX) queries. Select appropriate uses of ActiveX Data Objects (Multidimensional) (ADOMD). Select appropriate uses of SSIS Data Mining Query tasks. Select appropriate uses of data mining viewer controls for Microsoft .NET Framework-based applications. Select a processing method for data mining objects. Select appropriate uses of processing. Select appropriate uses of structure processing. Select appropriate uses of default processing. Make yourself more valuable in today's competitive computer industry Examkingdom's preparation	material includes the most excellent features, prepared by the same dedicated experts who have come together to offer an integrated solution. We provide the most excellent and simple method to pass your Microsoft MCITP 70-446 exam on the first attempt "GUARANTEED". will prepare you for your exam with guaranteed results, 70-446 Study Guide. 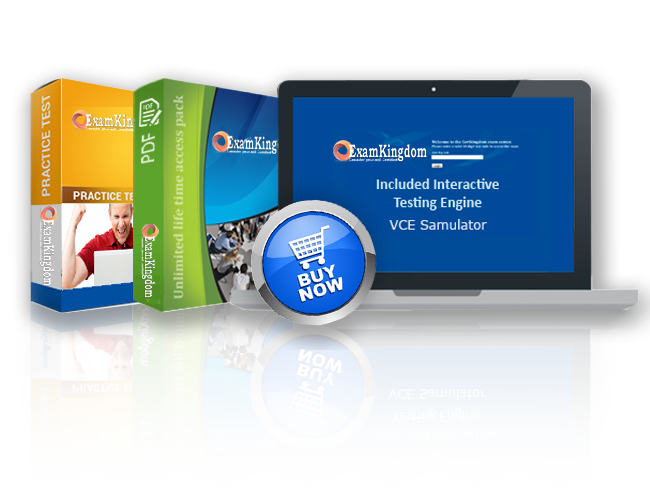 Your exam will download as a single 70-446 PDF or complete 70-446 testing engine as well as over +4000 other technical exam PDF and exam engine downloads. Forget buying your prep materials separately at three time the price of our unlimited access plan - skip the 70-446 audio exams and select the one package that gives it all to you at your discretion: 70-446 Study Materials featuring the exam engine. Beyond knowing the answer, and actually understanding the 70-446 test questions puts you one step ahead of the test. Completely understanding a concept and reasoning behind how something works, makes your task second nature. Your 70-446 quiz will melt in your hands if you know the logic behind the concepts. Any legitimate Microsoft MCITP prep materials should enforce this style of learning - but you will be hard pressed to find more than a Microsoft MCITP practice test anywhere other than Examkingdom. This is where your Microsoft MCITP 70-446 exam prep really takes off, in the testing your knowledge and ability to quickly come up with answers in the 70-446 online tests. Using MCITP 70-446 practice exams is an excellent way to increase response time and queue certain answers to common issues. All Microsoft MCITP online tests begin somewhere, and that is what the Microsoft MCITP training course will do for you: create a foundation to build on. Study guides are essentially a detailed Microsoft MCITP 70-446 tutorial and are great introductions to new Microsoft MCITP training courses as you advance. The content is always relevant, and compound again to make you pass your 70-446 exams on the first attempt. You will frequently find these 70-446 PDF files downloadable and can then archive or print them for extra reading or studying on-the-go. For some, this is the best way to get the latest Microsoft MCITP 70-446 training. However you decide to learn 70-446 exam topics is up to you and your learning style. The Examkingdom Microsoft MCITP products and tools are designed to work well with every learning style. Give us a try and sample our work. You'll be glad you did. * MCITP 70-446 prep files are frequently updated to maintain accuracy. Your courses will always be up to date. Get MCITP ebooks from Examkingdom which contain real 70-446 exam questions and answers. You WILL pass your MCITP exam on the first attempt using only Examkingdom's MCITP excellent preparation tools and tutorials. Thank You! I would just like to thank Examkingdom.com for the Microsoft MCITP 70-446 test guide that I bought a couple months ago and I took my test and pass overwhelmingly. I completed the test of 86 Questions questions in about 90 minutes I must say that their Q & A with Explanation are very amazing and easy to learn. I passed the Microsoft MCITP 70-446 exam yesterday, and now it's on to security exam. Couldn't have done it with out you. Thanks very much.